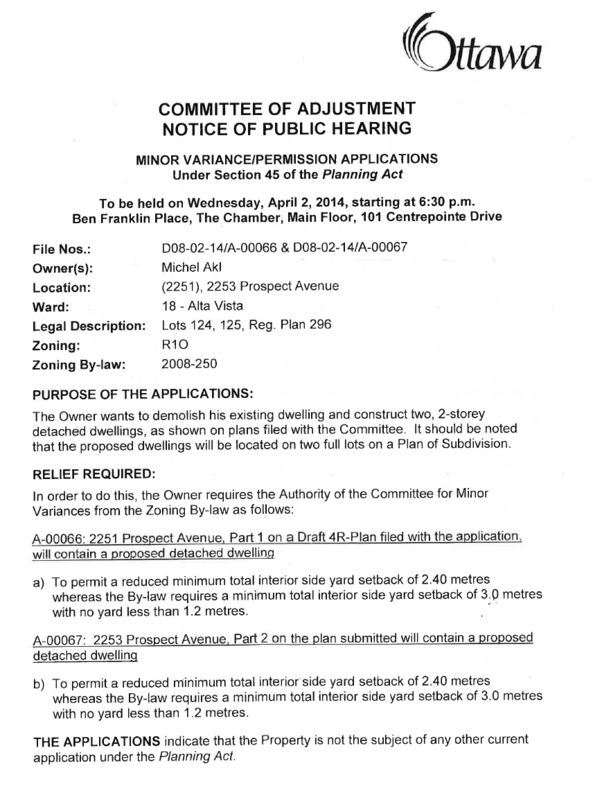 Just a quick FYI about a minor (very minor) variance application and hearing planned for April 2. The Owner at 2253 Prospect Avenue is looking to reduce the minimum interior side yard setback by 60cm in order to build 2 new detached homes on 2 separate lots. Click the image for details on the application.